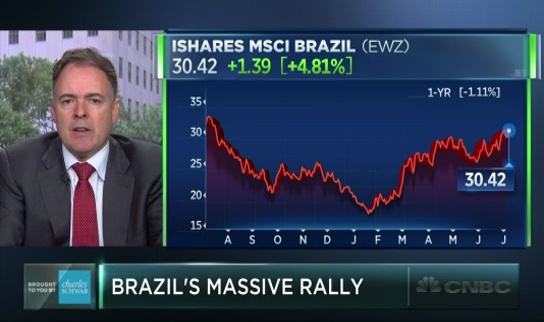 A look at soaring Brazilian stocks, with Ari Wald of Oppenheimer, Larry McDonald of THE BEAR TRAPS REPORT/ACG Analytics, and Kate Rogers. 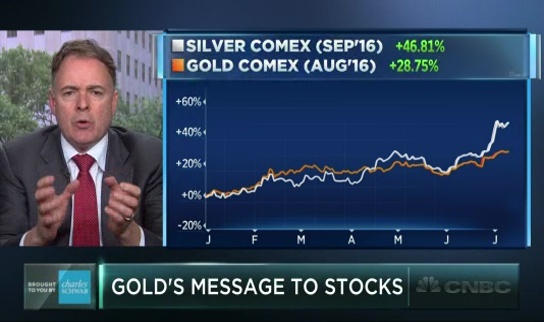 The relationship between gold and silver may be suggesting something troubling about the market. Ari Wald and Larry McDonald; founder of THE BEAR TRAPS REPORT, discuss with Kate Rogers. 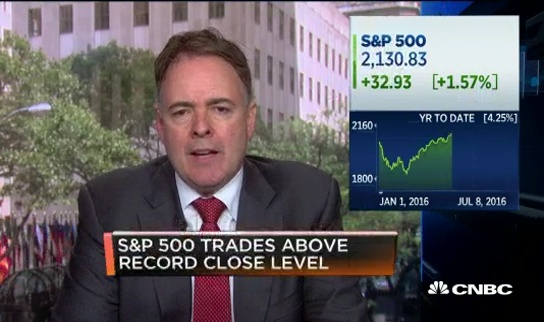 Are stocks ready to hit new highs following the jobs number? Ari Wald, Oppenheimer, and Larry McDonald of THE BEAR TRAPS REPORT and ACG Analytics, discuss. 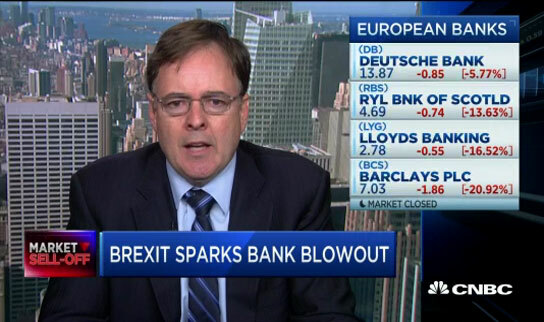 Larry McDonald, BEAR TRAPS REPORT founder and AGC Analytics Head of Global Macro Strategy, gives his reasons why investors should be buying European banks during the sell-off. 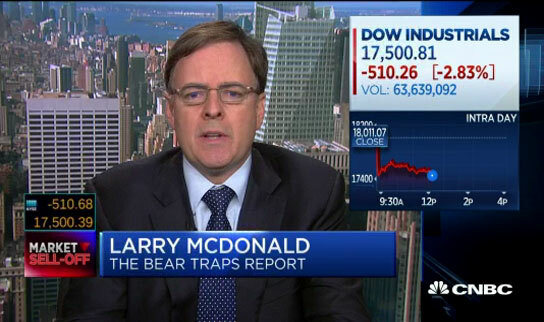 Discussing the reaction in the British pound, and U.S. stocks after the Brexit vote, with Ed Yardeni, Yardeni Research President and chief investment strategist, and Larry McDonald, THE BEAR TRAPS REPORT founder and ACG Analytics head of global macro strategy.